A rarely available 3 double bedroom semi detached house, built in the 1970s, offering potential to enlarge with a driveway, garage and private garden. The property is situated on a popular residential road, within easy access of major transport links, excellent schools and the town centre. The accommodation comprises: entrance hallway, kitchen fitted with an attractive range of units and a great sized sitting/dining room. 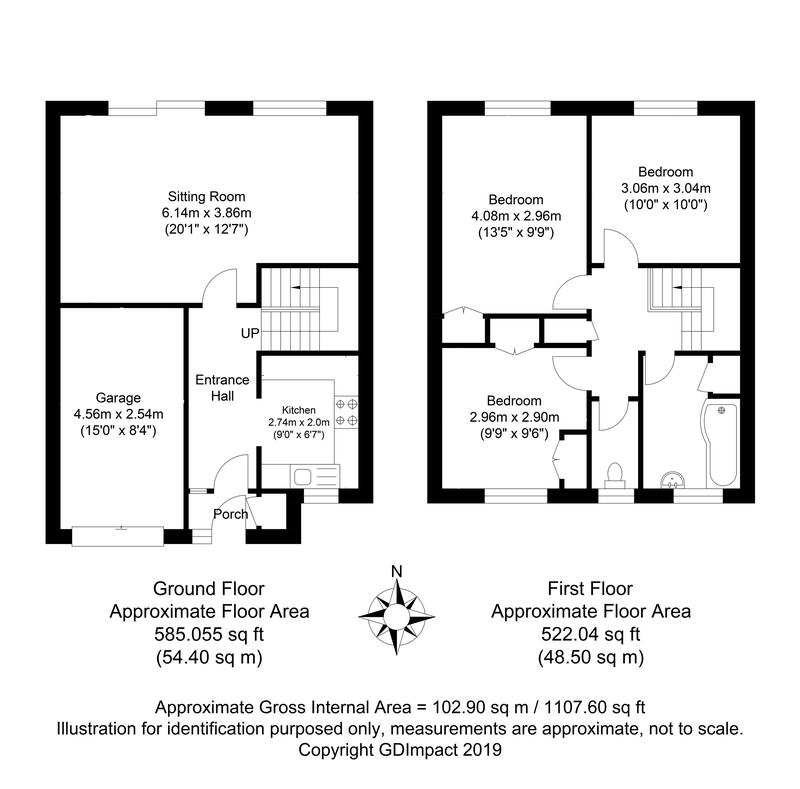 There are 3 double bedrooms and a family bathroom with separate cloakroom. Benefits include double glazed windows and gas fired central heating to radiators (boiler located in the kitchen). A driveway provides parking for 1 vehicle and there is potential to create further parking. The garage offers scope to convert, if required. The 35' x 21' garden offers an excellent degree of privacy and is predominantly lawned with a newly laid patio. The property is situated on a popular residential road, within easy access of major transport links, excellent schools and the town centre. This would be ideal if you are looking for a modern family home with potential to enlarge, driveway, garage and private garden.